Oman Air, the National Carrier of the Sultanate of Oman has commenced its new daily direct service between Russia and Oman, with its first flight departing Muscat International Airport to Moscow Domodedovo Airport on 30th October. The inaugural flight, WY 181 departed Muscat International Airport at 14:55 after a cake cutting ceremony. The flight arrived in Moscow at 19:55. With a flight time of 5 hours and 35 minutes, WY182 departs Moscow Domodedovo Airport at 00.20, arriving into the award-winning new passenger terminal at Muscat International Airport at 06.55. Oman Air’s official delegation to Moscow included its Chief Executive Officer Eng. Abdulaziz Al Raisi and Chief Commercial Officer Paul Starrs, and a number of its senior management team. His Excellency Dmitry Dogadkin, the Ambassador of Russia in Oman also accompanied the delegation to Moscow. Upon arrival to Moscow Domodedovo Airport, Oman Air delegation was received by top ranking officials. Oman Air’s extensive flight network provides travellers from Russia a wide variety of options including 11 Indian destinations (Goa, Mumbai, Chennai, Kochi, Thiruvananthapuram, Hyderabad, Delhi, Lucknow, Bangalore, Kozhikode, and Jaipur) in addition to Indian Subcontinent destinations such as Maldives, Nepal, and Sri Lanka, all of which are less than a four hour flight from Muscat. Oman Air flies with double and triple daily frequencies to some of these cities providing guests with more choices and easy connections. 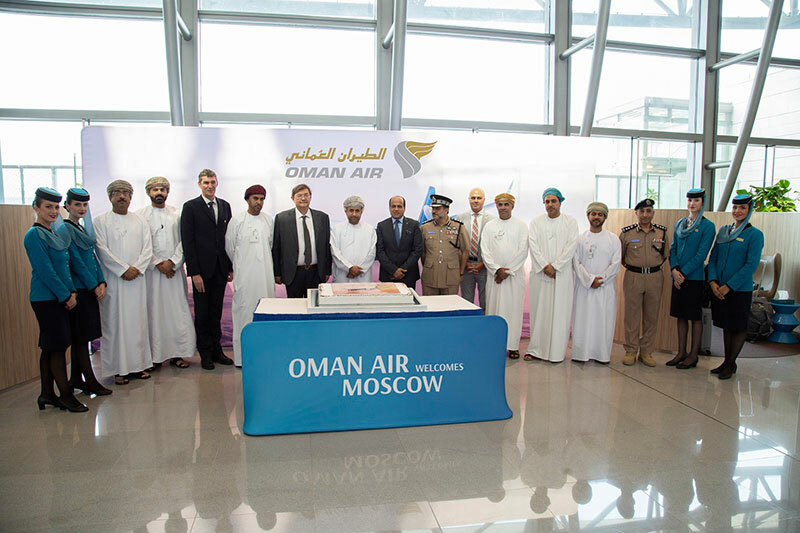 The new service between Moscow and Muscat is the airline’s third route launched this year after Istanbul and Casablanca and is part of Oman Air’s exciting fleet and network expansion programme, which will see the airline operate up to 70 aircraft to around 60 destinations by 2022.